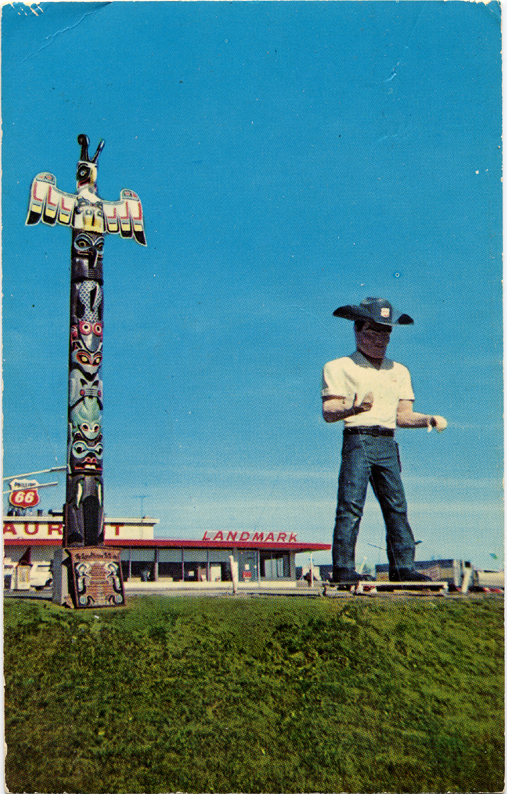 Actually closer to Bossier City this cowboy has been up on this pole for about 26 years. 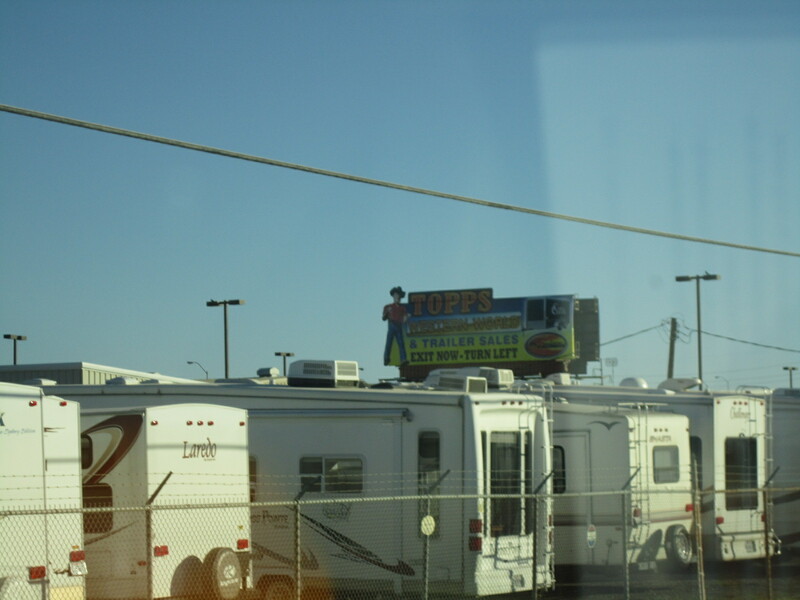 He stands high above the Topps Western World and Trailer Sales just north of I-20 to the east of Bossier City. As far as cowboys go this one is in really good shape. He also is decked out with allot of accessories which is nice to see since these days many cowboys have long lost all their extra stuff. 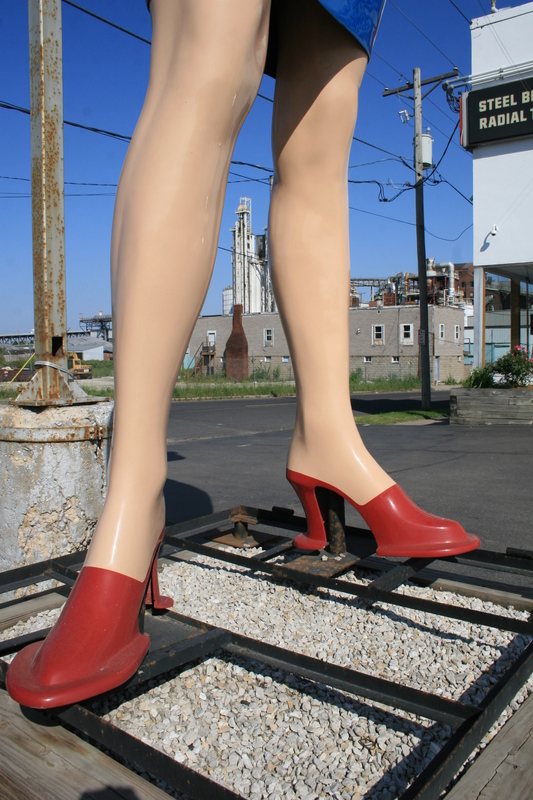 Maybe standing high up on that pole well out of reach has done him some good. 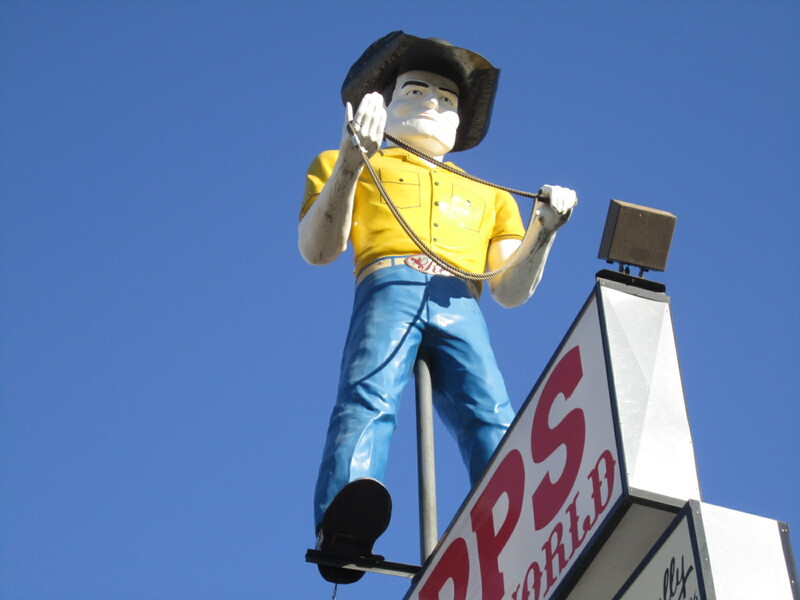 He wears a black stetson and holds a piece of rope and also has a really nice pair of spurs on his shoes. 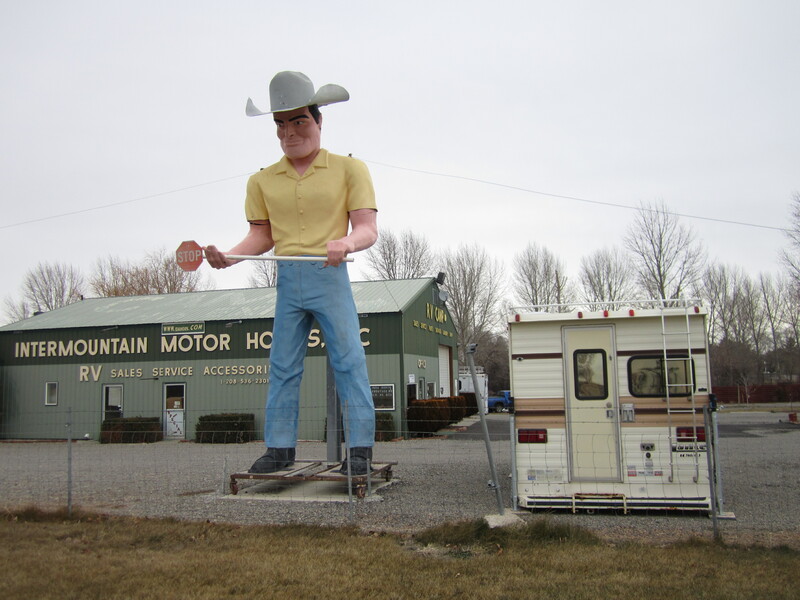 You also don’t see to many muffler men these days with bright yellow shirts so he is hard to miss when driving by. 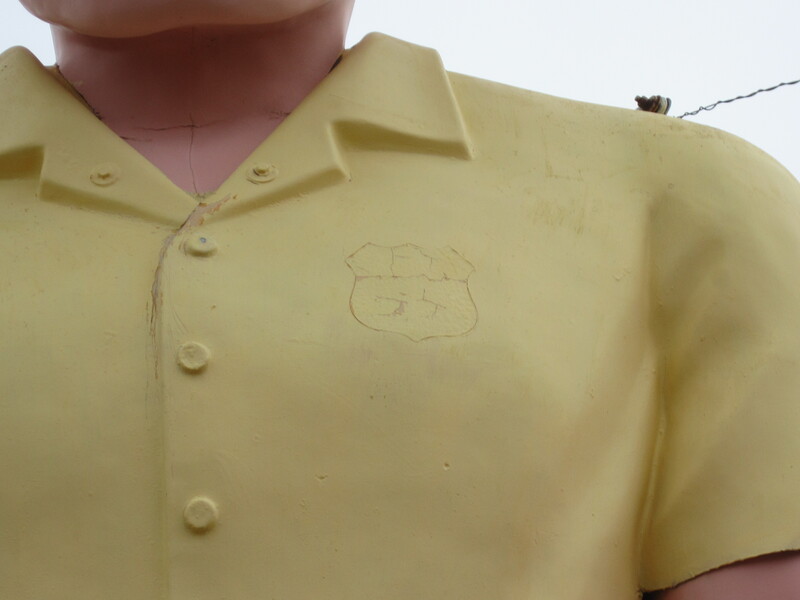 They also have him up on a billboard right next to the interstate advertising their business although he’s wearing a red shirt in the billboard picture. 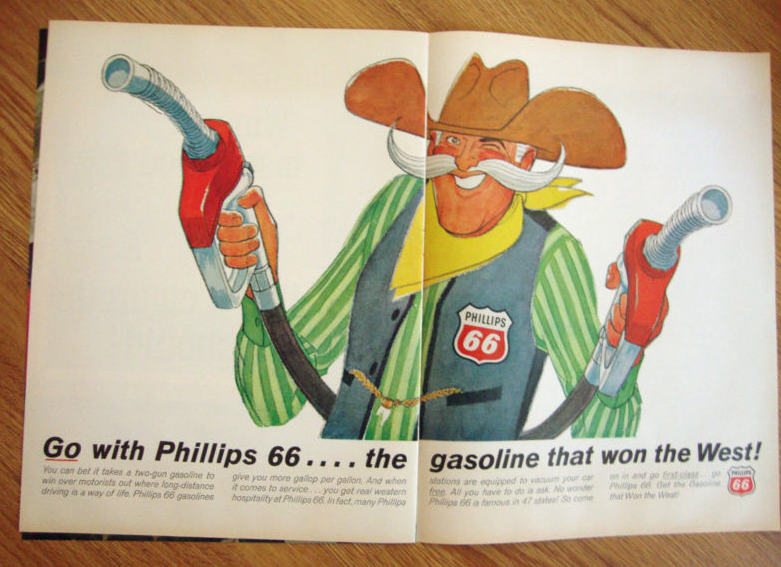 As with most cowboys, he once stood at a Phillips 66 station and had their logo on his chest pocket. 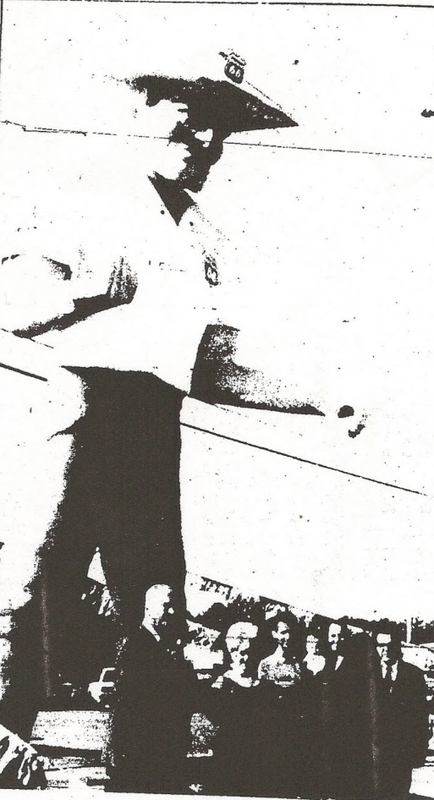 He was purchased around 1982 by the owner of Topps named Bubba Reeves. 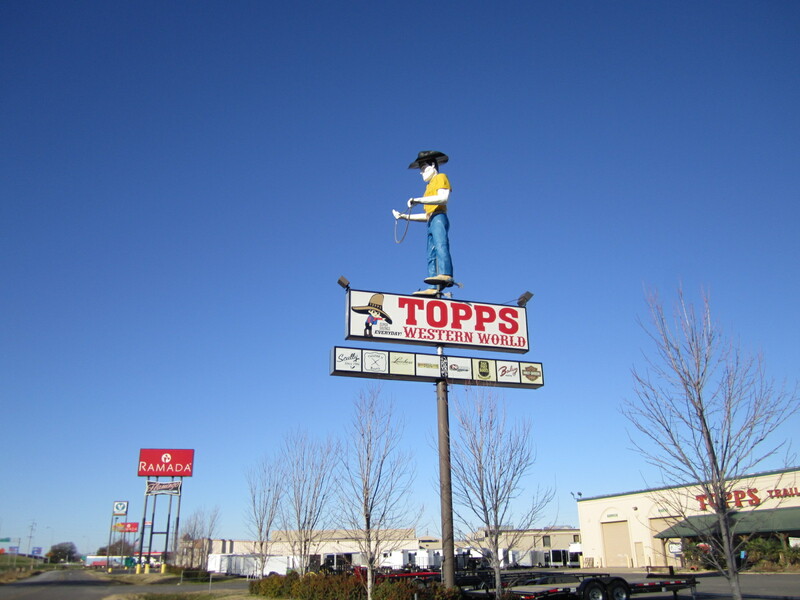 Bubba who started his business in 1964 with Topps Milling company went on in 1973 to start selling western wear and saddles. 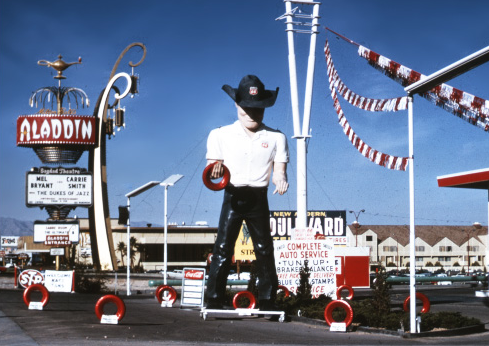 By the time the muffler man came along Bubba had a well established buisness and was looking for more ways to promote it. 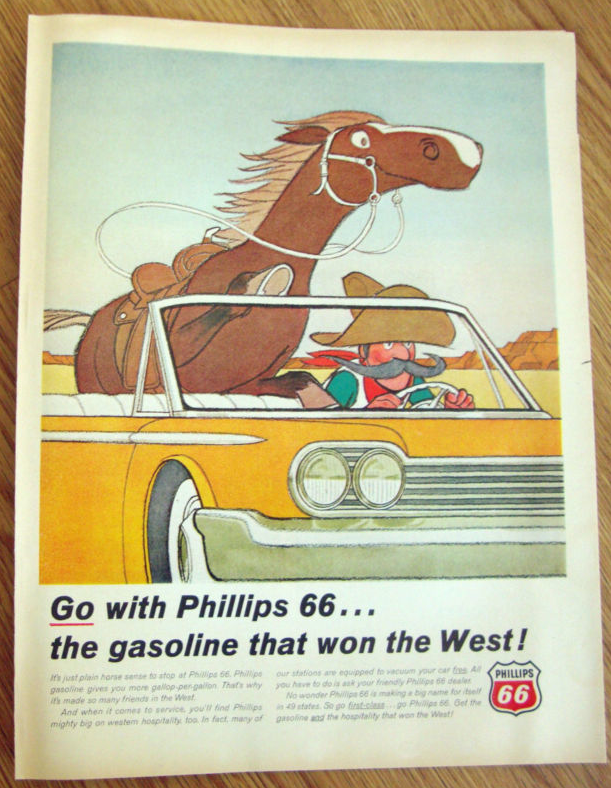 He doesn’t remember to much about the day he got the cowboy or how much he paid for him but he does remember the Phillips 66 gas station had closed and they were selling everything. 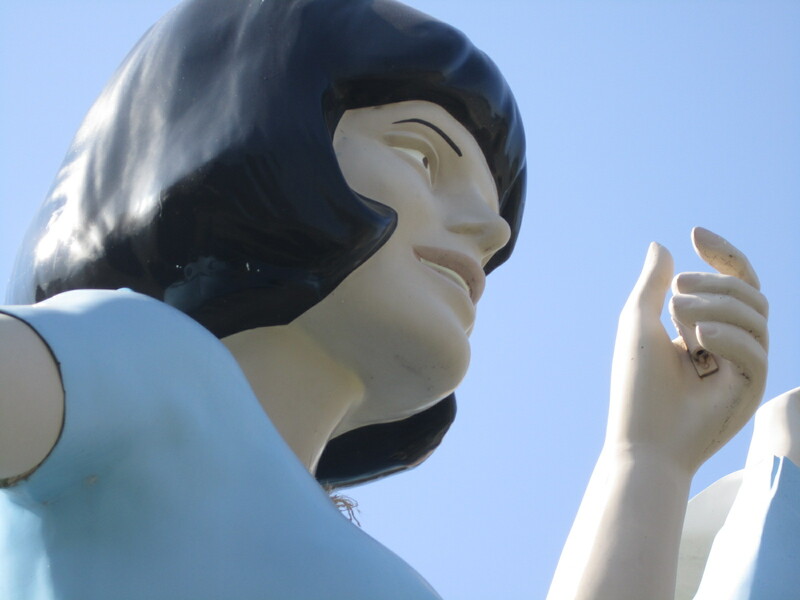 He remembers that the gas station was in the Dallas area and I have started to put two and two together with his story and one Glen Goode told me. 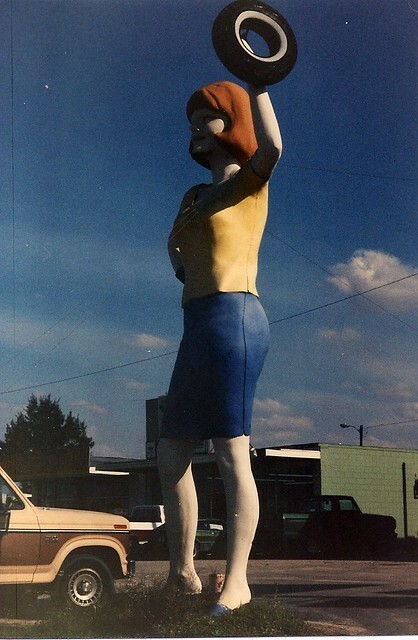 Glen has stated that he cast the muffler man head and hat mold for his collection form a cowboy muffler man that stood on a billboard at a gas station in Canton, TX about 45 miles south east of Dallas back in the early 80’s. 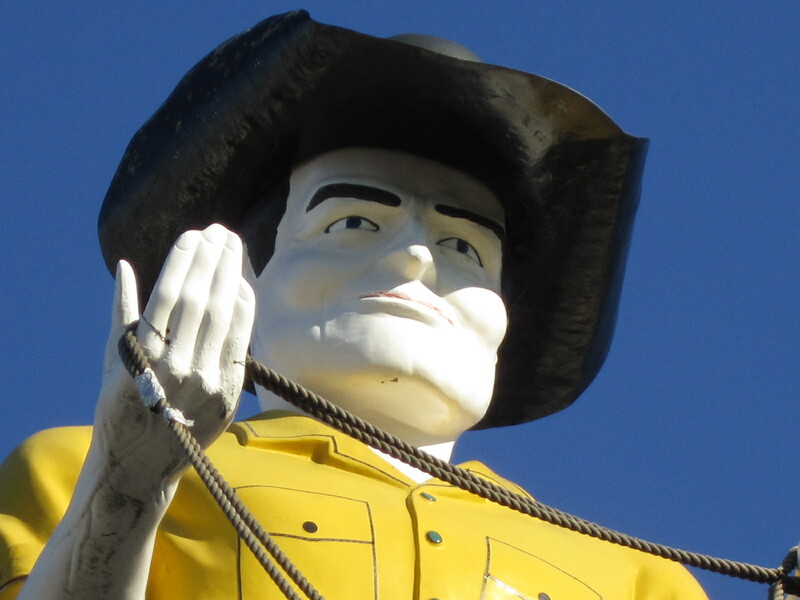 Bubba remembers getting his cowboy in the early 80’s somewhere around Dallas so this could possibly be the Canton muffler man. 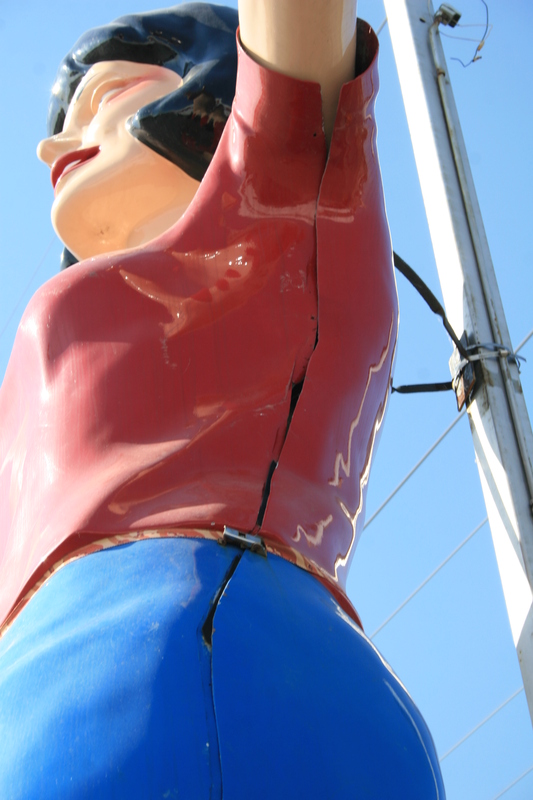 That could also be why the Shreveport muffler man stands on a tall poll because Bubba first saw him on a billboard up in the air in Canton. 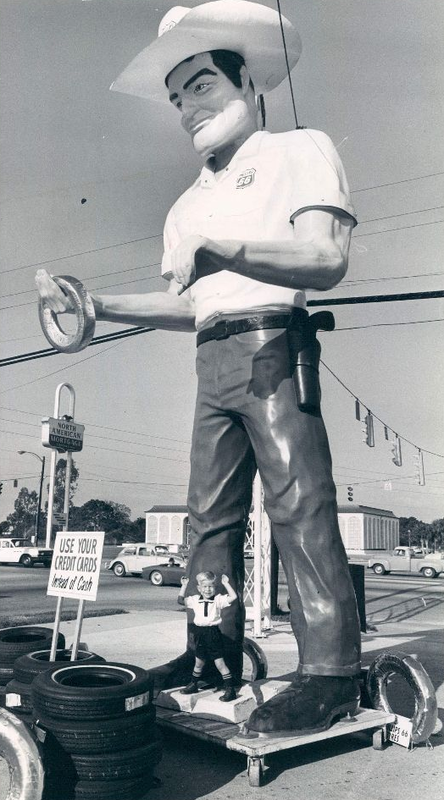 Bubba set him up at his store on East Texas street and it stayed there for 5 years before bringing him over next to I-20 around 1987. 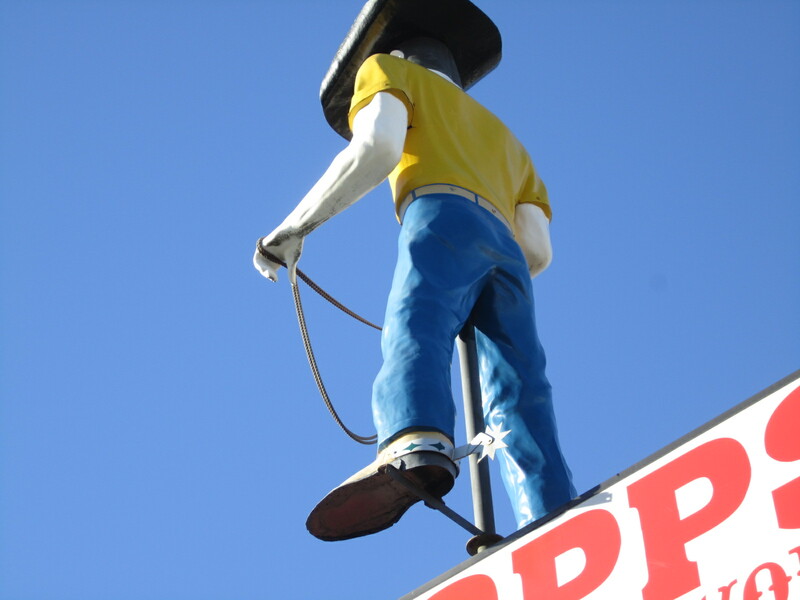 The muffler man has stood here ever since and hats off to Bubba and his guys for having an original 66 cowboy at their store for over 30 years now.